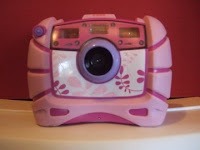 My sons have both developed an interest in photography because we gave their sister a camera for her Summer Camp trip. They ‘steal’ my camera rather than hers because mine is silent. I dash outside with the kitchen scissors and cut off every offensive crispy brown head I can find. 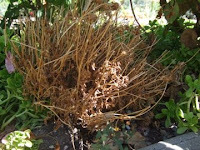 The newly rigged up “irrigation” system is extremely irritating, intermittent and generally unco-operative. 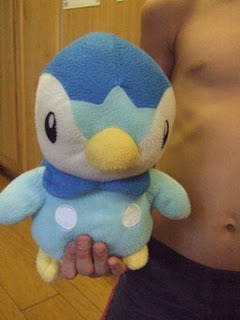 Behind me, since I am never really alone, my son hovers in the door way as he clutches Piplup to his chest, close to his heart. “What you are do?” he asks without prompting. Although to be honest, my mind was somewhere else entirely. Posted on September 21st, 2008.